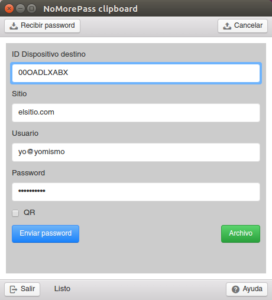 Native application that works on Windows, Mac and Linux and allows to send passwords from the computer to the mobile and from the mobile to the computer. On linux it is needed to grant execution permission to the file. On windows the installer is not signed by trusted company, so you have to tell windows to install anyway. 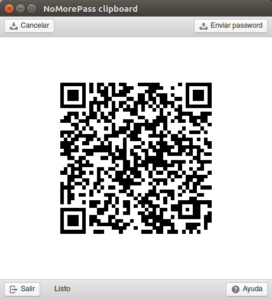 If we select this option we will see a qr code on the screen, in the mobile app we locate the password that we want to send and click on the qr icon on the left, at that moment we scan the qr code and the password will be sent to the clipboard of the application. Additionally, the user of these credentials appears at the bottom of the window. Device ID: mobile device identification (from configuration on app) where we want to send the pass. Site: Name or url where credentials used. Password: the password to send, it is filled by default with clipboard contents. QR: select sending mode: remote or inmediate (via qr). In case QR is not marked when you press “Send Password”, the credentials are sent remotely to the affected phone, which will receive it almost immediately. If the QR box is checked a QR code will appear on the screen and when we scan it (red button) in the app the password is sent safely to the device. In the latter case the QR code does not disappear until we click on the “Cancel” option as the phone does not inform when it receives the code. If we have a chrome, firefox, KeePass or Lastpass password export file (we will write an article about how to get them soon), all the passwords can be sent at once to the mobile phone. 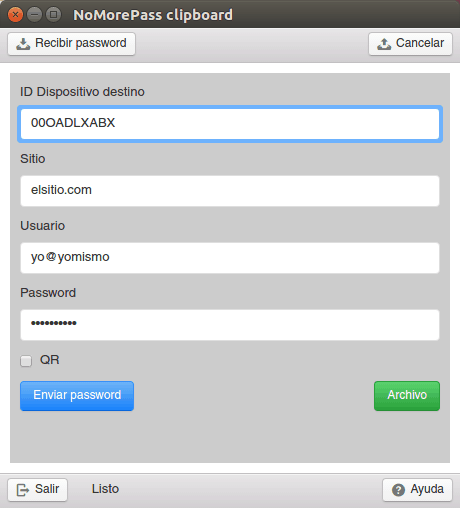 To do this, instead of pressing the “Send password” button, we will press the “File” button, then a window will open to select where the file is and if it has the appropriate format is sent to the mobile in the same way as if it were only a password (remote or by QR). 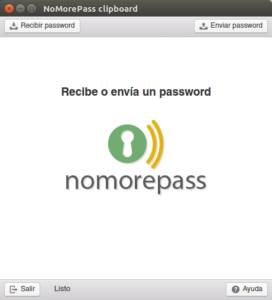 This application is very important in the general scheme of NoMorePass because it frees the user from the need of use only web services. Now any password that is available within the application can be sent to the computer (and vice versa) , So there is no longer any problem to use these passwords anywhere, at any time. 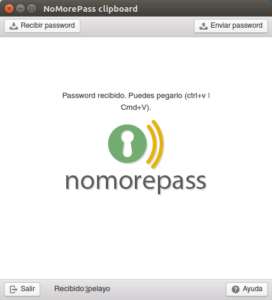 We hope you enjoy all this new functionality and if you find any problems let us know by leaving a comment, here or in our FB/Twitter or by email to info@nomorepass.com.